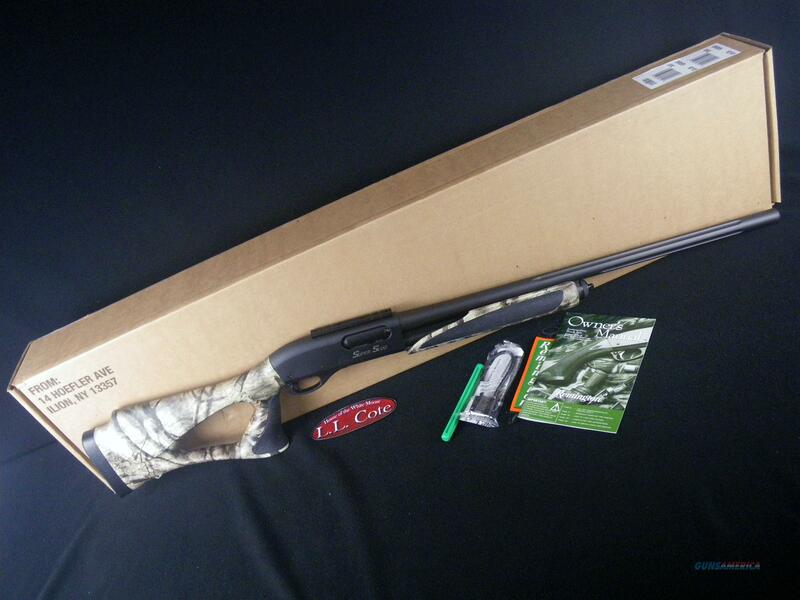 Description: You are bidding on a Remington 870 SPS SuperSlug in 12ga with a 25.5" barrel and 3” chamber. Rifle-like accuracy meets deer-leveling advancement. The most dependable slide action of all time in three advanced designs that will go the distance with deadly precision, whether your target is the crease behind a buck's shoulder or a big red head. We've built the industry's finest rifled slug guns for years, but our new 12-gauge Model 870 SPS SuperSlug advances deer-leveling technology to farther reaches and smaller group sizes than ever before. Even more so when paired with high-performance ammunition like our Premier AccuTip sabot slugs. Because barrel stability is key to extended-range accuracy, this shotgun's barrel is of extra-heavy, 1" diameter configuration and measures a full 25.5". It's also pinned to the receiver to control vibration for rifle-like, shot-to-shot consistency. Displayed images are stock photos. Any questions please feel free to ask (our phone number is in the additional information tab above).